It has been almost two months since Verizon introduced its “Next” web site, where they touted the Samsung Juke, Blackberry Pearl, LG Venus and the Voyager. Since then, anticipation and speculation has been growing around the Voyager, and we are pleased to say that it has finally been released. 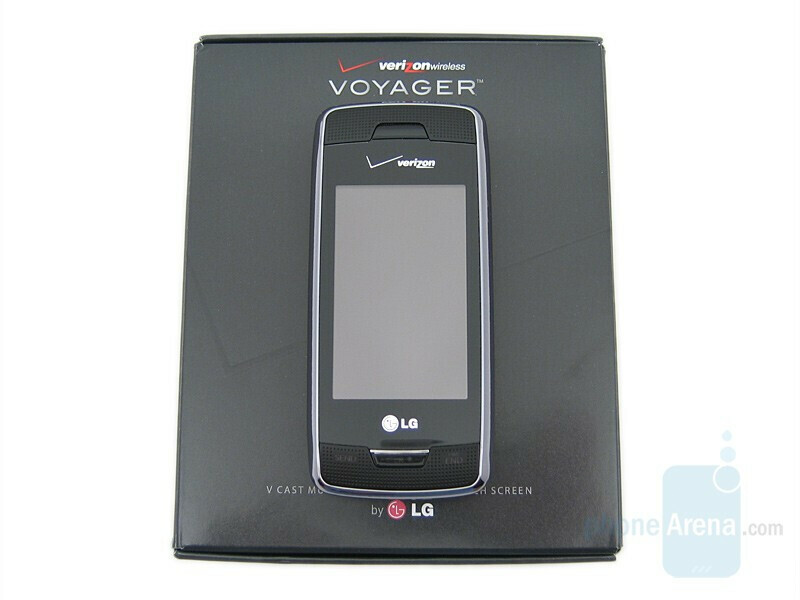 The Voyager is an upgrade from the enV, which was introduced around this time last year. 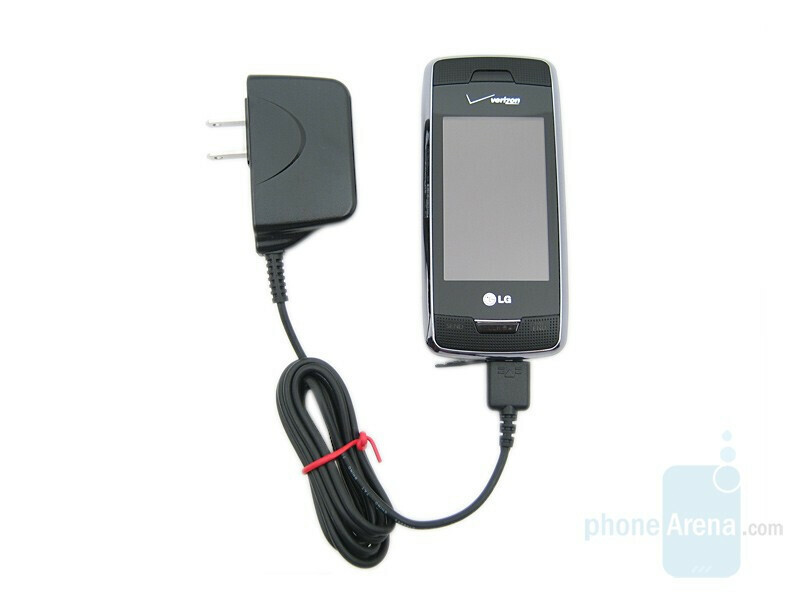 The external touch display and user interface are what set the Voyager most noticeably apart from any other phone currently being sold by Verizon. It is targeted to the consumer that is looking for the ultimate entertainment/all-in-one device, without having to make the leap into smartphone territory. More importantly, it is designed to distract current Verizon customers wanting a touch-phone from looking elsewhere (iPhone). 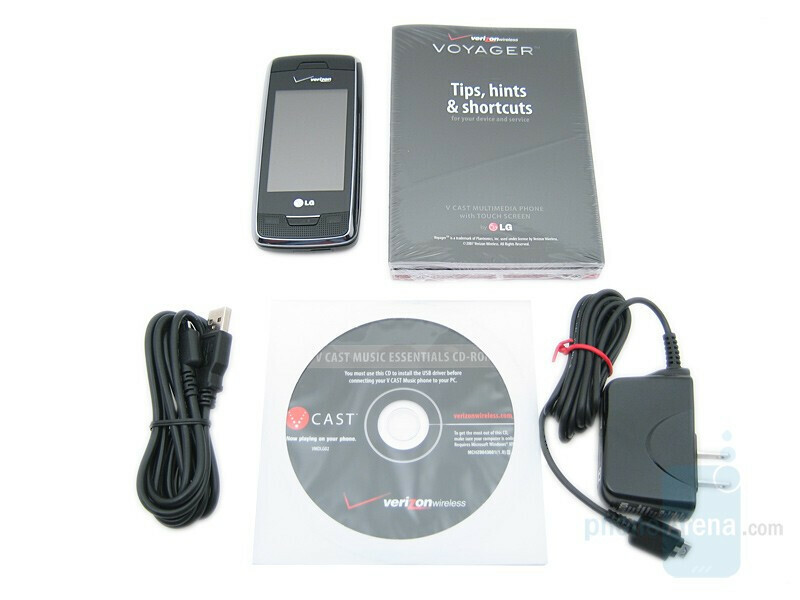 The Retail Package includes the LG Voyager phone, 950mAh battery, wall charger, USB data cable, music management CD, and user manual. We are glad to see the LG now includes the data cable and music management CD with both the Voyager and Venus, eliminating the need to purchase the over-priced Music Essentials package. For me the the biggest conns are: The speakerphone only works with the phone flipped open and is disabled when the phone is closed. This is not mentioned anywhere in the review and it really should be unless your audience is only LG afficionados or enV users. Or am I wrong? Is there a way to use the speakerphone with the phone closed? I was very disappointed with the volume and qaulity of the speakerphone. Your review mentions that the speakerphone sounds better at a lower volume and I did not try that... because I found it almost impossible to adjust the volume of the speakerphone. The only controls I could find are on the side and they are almost unreachable when the phone is open. Am I missing something? How do you adjust the volume of the speakerphone while in a call? Did I miss an accessible volume control when the Voyager is open? Given that at max volume the phone is fairly soft compared to the competition, I'm not sure lowering the volume is an option but I do want to try it at the lower volume when I check it out again tomorow. Also I could not figure out how to listen to music while doing something else such as texting. I believe that feature is available on less featureful phones such as the venus/chocalate. This fact is burried in the 9 pages of the review but I believe it deserves a "CON" as it's a big disappointment not to include such basic functionality in this flagship phone. You cover the touchpad and says using it gets better. I sure hope it does because at first touch it is simply horrible. The best way to explain it is that it feels like the screen is not touch sensitive but that something behind the screen is. It feels like you have to push through the screen (which squishes) to get to the touch pad. Thanks for the extensive review. I really wanted to like the voyager but my first impression of the things that count (touch screen, speakerphone, usability, speed etc) was a big blech. I'm honestly suprised of the almost universal love given to the voyager in the initial cnet and phonearena reviews. Given the buzz and the cost I expected the phone to wow me at first touch. Perhaps I need to spend more time with the device to appreciate it. The Mobile E-mail program does automatically check for new messages, and alert you when you have received them, with no interaction required. The article incorrectly states that you must manually check for messages. The update is not instantaneous, but usually reports new messages within 5 minutes of receipt. thats with the new hardware update. they made this a while ago. Will there ever be a MightyPhone like app for this phone? It's a great phone, but there is no mention of any syncing capabilities with Microsoft Outlook. This phone does have wireless sync available as well for 19.99 a month. You can use the pc monitor option to be able to sync your outlook with this phone-the only downfall to that would be that the computer you want it to sync with would have to be on to get the updates. I'm a Verizon employee and as far as the scrolling i have had that issue. but as far as the youtube mobile website i've seen the whole chocolate rain video (which btw is hilarious). Going back to the touch screen though. Using a stylus is def better then using you finger. I've tried both and the stylus def worked way better! The Mobile email i can't say much about becuase i use the 8830 world edition for that. So theres no comparison to Blackberries in that aspect. But yea i find it to be an overall good phone. YouTube has a mobile verison of the site that can found at m.youtube.com. Videos can be played on the Voyager from this site. I have worked for Verizon for 9 years now and have had over 100 differant phones in the last few years. My oppinion on the Voyager isnt a very good one. I went through 4 of them in less than a month. Main problem being the touch screen shorting out. I would not recommend this phone to anyone. Hopefully the 9700 and U940 coming soon will be better phones and have the bugs worked out! I am getting a new phone soon and I was thinking about getting the voyager and I want to know what the problems are exactly. I've seen dozens of them, and haven't seen any complaints like this. I don't doubt you saw 4 bad ones, but perhaps you were just extremely unlucky? The ratio of phones that work to the ones that don't definitely aren't in your favor. I recently purchased the voyager as an upgrage from the palm treo, I have to say what a big mistake. The volume not audible when the case is closed so 90% of the time I miss my calls. Also when you listening to the music that's all you can do you cannot access any other features on the phone. the thing VZW has enjoyed deceiving people about is that the voyager is at all a competitor with the iPhone. And what is supposed to make it comparable? Because it has a touch screen. I'm sorry, but the sole impressive feature of the iPhone is not that it has a touch screen. The Voyager is a phone, not a smart phone, or a PDA, or any of the other devices that actually should be compared to the iPhone (or that the iPhone should be compared to) I work for VZW and I like the network, but it seems pretty obvious that people are mostly right about VZW's phone selection. I personally own an enV and (shhhh!) an iPod Touch. The Voyager is trash. Oh, and so is the xv6900. I am considering the Voyager when I am due for an upgrade this Summer. I heard when the Voyager first came out that you could not use the music player and receive calls at the same time. Is that still true? What happens if you are listening to music and then receive a call? Thanks! Your music will pause and the incoming call screen will appear and give you the opportunity to take or ignore the call. If you ignore it, your music should resume. is it true that you MUST pay $15 extra into your plan for web browsing even if you don't use it? Nope, not at all. It's optional with the Voyager. I love my voyager. I havent had one problem with it. and if you want a touch screen phone that makes calls & txt 's then this phone is perfect for you.......but if u are like some ppl thinking they can run their company off of their phone and talk bad about it because its not a supercomputer, then go get a laptop. its the enV...only with a touch screen.